May is Skin Cancer Awareness month and the first Monday in May is designated as Melanoma Monday®; a day started by the American Academy of Dermatology to raise awareness about the prevalence of skin cancer. It is estimated that one in five Americans will be diagnosed with skin cancer in the course of their lifetime. I totally get that wearing sunscreen seems to be a hard habit to get into. There are so many good reasons to really make the effort, though. In addition to minimizing sun damage and reducing premature aging, the biggest is prevention of skin cancer. The FDA mandated new label requirements for sunscreens. In order to be considered “broad spectrum”, a sunscreen must protect against UVA and UVB rays. 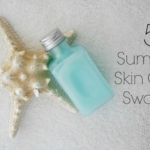 Each one of the sunscreens listed below is broad spectrum and a minimum SPF 30, which means that it can prevent sunburn, reduce your risk of getting skin cancer and help prevent early signs of skin aging. 1. CeraVe® SPF 50 Sunscreen for Face – Lightweight, dries to a clear finish. I like that it has zinc oxide and titanium dioxide (physical sunscreen), along with ceramides and niacinamide . Water-resistant, too. Excellent! 2. CHANEL UV Essentiel SPF 30: Light, with a lovely, delicate fragrance. Because of the texture and fragrance, this one feels like you’re using another skincare product, not a sunscreen. Of course, my favorite. Love! 3. Estee Lauder Daywear UV Base SPF 50+ feels like a very light moisturizer that also has sunscreen in it. If you’re used to wearing just a moisturizer, this would be a great choice. 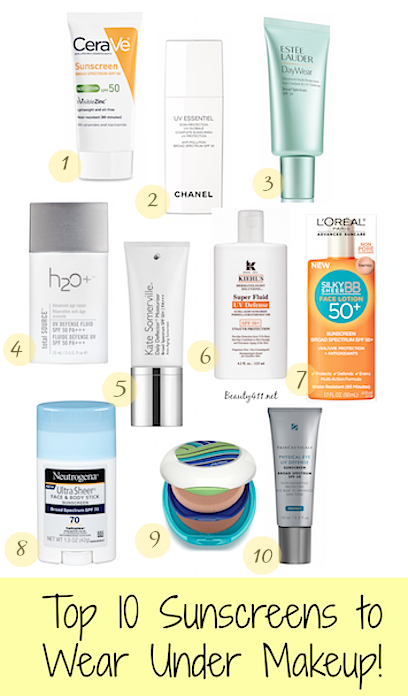 For those with normal, normal-oily or combination skins, this will be enough moisturizer. Love that it also has antioxidants, so it’s good for your skin. 4. 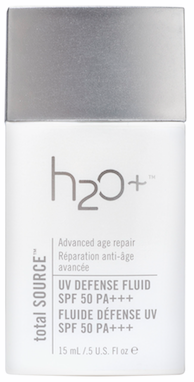 H2O+ UV Defense Fluid SPF 50 PA+++ – light texture, zinc oxide and titanium dioxide (physical sunscreen); it does impart a slight white cast, but if you’re sensitive to chemical sunscreens, this is a great choice. I also like the antioxidants and Japanese seaweed, which give skincare benefits. 5. Kate Somerville Daily Deflector Moisturizer Broad Spectrum SPF 50+ Anti-Aging Sunscreen is ultra light, has anti-aging benefits, a unique formulation and is hydrating. This is a physical sunscreen, so you may see a slight white cast (I haven’t in my use). I do love the feel of this one; very easy to wear under makeup. 6. Kiehl’s Super Fluid UV Defense SPF 50+: A good choice for sensitive skins, this sunscreen is oil-free, fragrance-free and non-comedogenic. Dries to a matte finish. Great for under makeup! 7. L’Oreal Paris Advanced Suncare Silky Sheer BB Face Lotion SPF 30 is a fabulous new product. This sunscreen is slightly tinted when coming out of the bottle, but is colorless once applied and dries to a matte finish, making it perfect under makeup. 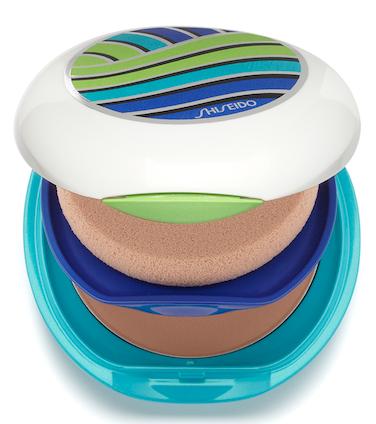 Water-resistant up to 80 minutes, so you can toss it in your purse and use it at the beach, also. Fragrance-free and should work for most to all skin types. Highly recommended! 8. Neutrogena Ultra Sheer Face & Body Stick Sunscreen SPF 70 is the “driest” formula I tested, because it is a stick. Goes on totally dry, non-greasy and virtually weightless. Very convenient for travel too. If you don’t like feeling like you’re wearing a sunscreen, I’d recommend this one. 9. Shiseido UV Protective Compact Foundation SPF 36 + Limited-Edition Case: I started buying Shiseido sunscreens forever ago; they were one of the first that offered UVA/UVB protection in a formula light enought to wear under makeup. This powder-foundation sunscreen is another great option, for those days you don’t feel like wearing makeup. You can use wet or dry. Love this for travel, too. The case is a separate purchase and comes in limited-edition styles. 10. Skinceuticals Physical Eye UV Defense SPF 50: Have you ever gotten a sunburn on your face? It hurts. And the skin in the eye area is so delicate, you need to make sure it’s protected. I love this protective eye base; it’s tinted and you apply it like an eye cream. It blends right in and doesn’t settle into fine lines or make your eye area appear dry/cakey. You can even apply to the eyelid. 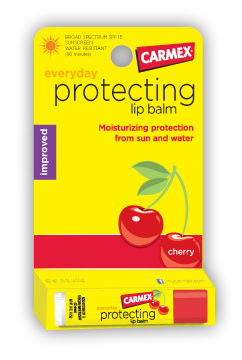 And for lips, try Carmex Cherry Stick, with broad spectrum sun protection, SPF 15 and up to 80 minutes of water resistance. This list of sunscreens definitely is not all-inclusive. 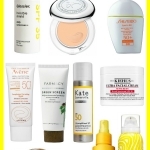 I just wanted you to have a go-to of some of the newer sunscreens (and some of my favorites) that meet the criteria for sun safety and wear well under makeup. 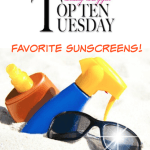 I’ll be covering beach and body sunscreens later in the month on “Don’t Fry Day”…watch for it! 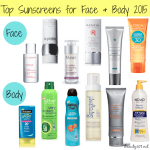 You can also find plenty of other sunscreens that I’ve reviewed here. 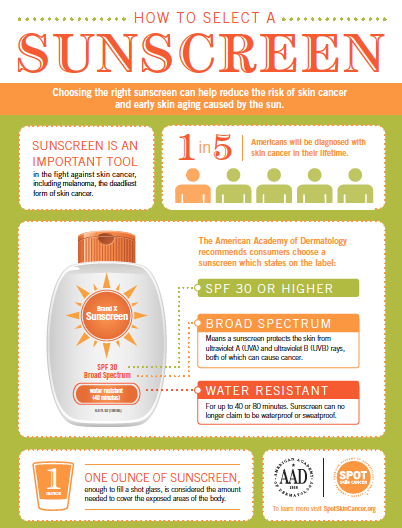 If you’d like more information on sunscreens, skin cancer prevention and tips, head over to the American Academy of Dermatology website. 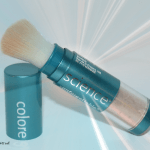 Sun Protection Made Easy with ColoreScience Sunforgettable Mineral Sunscreen Brush!